If you know anything about cryptocurrency, you’ve probably heard of Ethereum. It’s the second most popular cryptocurrency platform after Bitcoin, and is growing every day. Where Ethereum differs from Bitcoin is in its use of smart contracts. These are self-executing pieces of code used to enforce agreements without human oversight. There are two main benefits of smart contracts. Firstly, when implemented effectively, they provide greater security than legal arbitration, as they remove the possibility of human error. Secondly, they reduce transaction costs, the savings of which can then be passed onto the consumer. Smart contracts are executed by network nodes running the Ethereum Virtual Machine (EVM). The EVM is the runtime environment for Ethereum smart contracts and is how the network achieves consensus. The network has grown exponentially since it was created by Vitalik Buterin in 2015, with over 16,000 nodes now running concurrently around the globe. This has paved the way for thousands of Ethereum-based apps operating in many different markets. Ethereum’s road to success hasn’t been without its hiccups. In 2016, a year after its founding, an exploit was discovered that was used to steal approximately 50 million USD worth of ether (the currency of Ethereum) from the DAO Project, a decentralized autonomous venture capital fund. There was much debate as to whether or not the Ethereum userbase should intervene to return the lost ether to its rightful owners. While the majority were in support of doing this, there was a significant minority that were in opposition based on philosophical grounds, arguing that a unilateral intervention violated the principle of decentralisation that underpinned Ethereum. The result was a hard fork, with the main branch returning the lost ether and retaining the Ethereum (ETH) name, and the minor branch leaving it alone and becoming Ethereum Classic (ETC). The storm wasn’t over, though: in the fourth quarter of 2016, Ethereum would go onto fork two more times due to further network attacks. BetCoin is one of the titans of the cryptocurrency gambling industry. 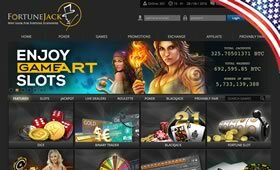 It’s been around for a few years now, and in that time has cemented its name as a dependable and trustworthy gambling site. It operates a casino, poker room and sportsbook that all accept Ethereum. While its casino and poker arms are both superb, its sportsbook is what really stands out. It offers an impressive number of sports, including association football, rugby, basketball boxing and MMA, and even takes bets on a couple of popular e-sports (namely, Counter-Strike and League of Legends). Luckily, Betcoin Sport’s user interface makes navigating between all these different sports and finding the right bet for you extremely easy. Moreover, the odds are always reasonable (certainly better than fiat currency bookmakers), so if you know what you’re doing you can do fairly well. The sign-up process is quick and totally anonymous. Betcoin offers a 100% First Deposit Bonus (as well as a 50% Second Deposit Bonus and a 25% Third Deposit Bonus), as well as a lucrative VIP scheme that which gives you a percentage of your losses back based on your tier. If you have any difficulties, you can open a support ticket or email them at contact@betcoin.ag. Read our full review of the BetCoin Ethereum bookmaker. FortuneJack is a popular crypto-only casino that accepts a wide range of cryptocurrencies, including Ethereum (both ETH and ETC). If you get bored easily, FortuneJack may be the casino for you: it offers easily the largest selection of games of all the crypto-only casinos. All the favorites are on offer, including roulette, blackjack and dice games, as well as a huge number of slot games. Most significantly, FortuneJack offers live casino games, which is very rare for crypto-only casinos. For those who don’t know, live casino games have a real-life dealer operate the game for you in front of a camera, whether it be roulette, blackjack or baccarat. It’s the closest thing you can get to playing in a brick-and-mortar casino without leaving your living room. The website itself is a pleasure to use, and it’s clear a lot of effort has gone into designing it. It certainly doesn’t feel like your average crypto-only casino room; rather, it feels more like what you’d expect from a respected fiat casino. There are a variety of promotions on offer, including a 110% First Deposit Bonus up to 1.5 BTC and 25 free spins for new users. If you have any questions, you can email support@fortunejack.com. Read our full review of the FortuneJack Ethereum Casino. Over the last few years, BetOnline has gained some serious traction in the fiat online poker market. While it may not quite be on the level as big-name fiat poker rooms, it definitely blows the crypto competition out of the water. BetOnline offers a clean and simple poker experience that will be familiar to anyone whose played on a site like PokerStars or Bovada. The lobby uses a list-and-tabs format which makes finding a game quick and easy, while the in-game graphics are sleek and responsive. There are a large variety of poker games on offer, including cash games, MTTs and Sit & Go’s and Speed Poker (BetOnline’s fast-fold format). Both No-Limit Hold’em and Pot-Limit Omaha can be played in a variety of different cash stakes, and there is an array of tournament formats on offer, including progressive knockouts. Luckily, all this is available on mobile as well as desktop. 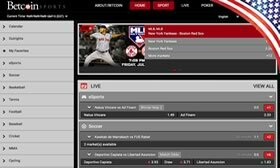 BetOnline Poker is available on desktop, iPhone, iPad and Android. New users can receive a 100% First Deposit Bonus by email poker@betonline.ag with the bonus code NEWBOL as the subject. The support team can be reached using the same email address or by phone at 1-888-426-3661. Read our review of the BetOnline Ethereum poker site.